In this review I’m going to be taking a closer look at online money-making opportunity named the GIM System, which is something that also goes by the name of the Guaranteed Income Machine system or the Guaranteed Email System. 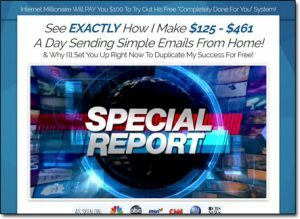 They’re all pretty much the same thing, and they all claim that you can make up to $461 per day by sending simple emails from home – so is it actually legit or is the GIM System a scam looking to part you with your hard earned cash? That’s exactly what I’m going to be getting to the bottom of right here in this GIM System review where I’ll be uncovering what it’s all about, how it all works & whether or not you can really make any money with it. Meaning if you’ve been thinking about signing up with it & trying it out then you can rest assured that you’ve landed in the right place to find out everything you need to know before you hand over your cash. What Is The GIM System (Guaranteed Income Machine)? The GIM System, also called the Guaranteed Income Machine is something that you’re told has been created by a successful email marketer named Bobby who claims he has generated millions & millions of dollars online. Bobby, the guy that presents the video (who is also supposedly the creator) claims that he’s put the system together because he’s now become so successful that he actually needs help sending emails. He claims that there are simply too many people on his email list for him to manage personally, so he wants other people to sign up & send the email for him – in which in return he’ll pay you for. How Does The GIM System Work? Basically the creator of the GIM System (who we now know isn’t Bobby that you see in the video) is employing you to be a spammer – and whether he actually pays you or not, well that’s another question. After signing up with the GIM System (which if you haven’t already I don’t recommend you do) you’ll be taken into their members area through which you’re told that the first thing you’ll need to do is sign up with a company called Inbox Pro. So whereas the GIM System claimed to be completely free, in reality it isn’t as Inbox Pro will immediately set you back around $27 per month for the lowest level of membership. But the creator of the GIM System claims that you don’t need to worry about the subscription fee because he’s going to personally load your Inbox Pro account up with 500 new subscribers per week so you’ll quickly cover the costs of the membership & land yourself in profit (according to him at least anyway). 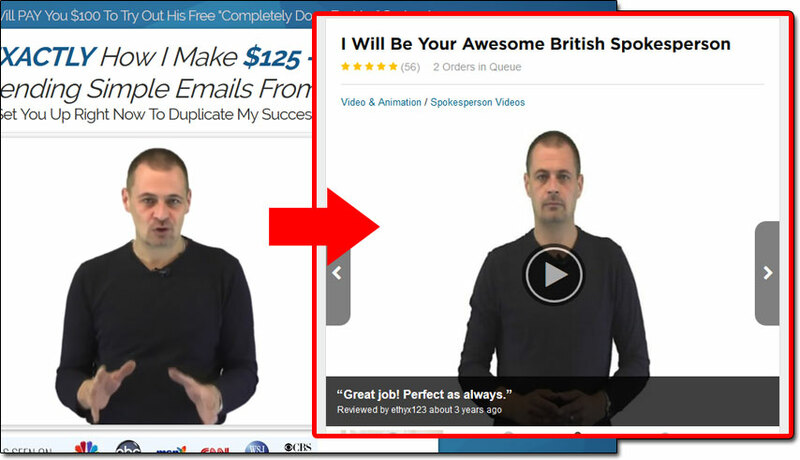 However from here you’re only asked to spend even more money – because after connecting your Inbox Pro account the creator then asks you if you’d like him to immediately put 3,000 subscribers into your account to “speed up your success” which he claims that if you want him to, he’ll do for $177. Only this leaves me a little bit confused, because before we joined the creator was asking for our help as he had too many subscribers to handle & now he’s trying to charge us for them.. It doesn’t add up. After going through all of the steps inside the members area (which basically each require you to spend money) you’ll finally be provided with a bunch of “done-for-you” emails to blast to your Inbox Pro list. However at just a quick glance through the emails it’s clear that they are absolutely nothing but spam – and the emails are each designed to get more people to sign up with the GIM System or Guaranteed Email System. But the biggest problem of all is that you have no idea where the emails are coming from that are getting put into your Inbox Pro account which could get you into a lot of trouble as essentially you could just be spamming random people (which it looks an awful lot like you are). You see there is something called the CAN-SPAM Act which tells you what you can & can’t do when it comes to email marketing & if you go against it then you could get landed with a hefty fine. In my opinion it seems like everything about the GIM System or Guaranteed Email System is going against the CAN-SPAM Act, so I’d say that if you were use this system then a fine would be almost inevitable. And this is the real reason I believe the creator is paying YOU to do send the emails for him (or her), because he knows that the way the emails are being sent out is against the law. Your doing his dirty work! But it’s not so easy to see how you make money as a member of the program, or how you get paid as you’re only told that you’ll earn $0.20 for every email link clicked & not a great deal else more about it. At one point you’re told that you need to keep an eye on your Click Force Traffic account to see your commissions (but you’re not even told what that is) & then later your told that the GIM System pays you directly. 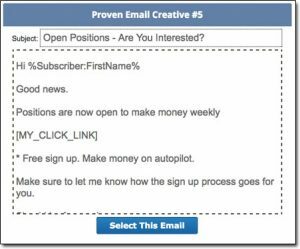 Regardless though there is also the mention of a $500 minimum cash-out limit, which if you were to earn $0.20 per clicked email link would see you needing to send a whopping 2,500 emails to reach that limit. And that’s assuming that literally every single email is opened and clicked, which of course it won’t be – in fact the GIM System actually states that the click-thru-rate is only 5% meaning you’d actually need to send a whopping total of 25,000 emails to make any money at all from this system! My Verdict – Is The GIM System a Scam? Yes, in my opinion it is a complete scam – but to be honest I actually kinda feel like it’s potentially worse than a scam because as well as taking your money it also seems to be tricking you into doing something illegal. I mean as a newbie you might not be aware of the CAN-SPAM Act & you might think it’s perfectly OK to send unsolicited emails, but let me tell you that it’s absolutely not & that it’s very heavily frowned upon. It seems to be that the creator of this system has just built it in a way to take advantage of people new to online marketing or in desperation situations where they’re willing to do anything to make money. There are many genuine ways to make money online but the GIM System is certainly not one of them, therefore it’ll be getting a huge thumbs down from me & I definitely won’t be recommending it. Writing To Wealth – Scam or Legit Way To Earn Money Writing? Read My Review!